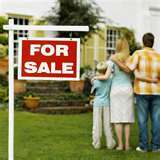 WASHINGTON (AP) — The number of U.S. households on the verge of losing their homes soared by nearly 15 percent in the first half of the year as more people lost their jobs and were unable to pay their monthly mortgage bills. The data show that, despite the Obama administration’s plan to encourage the lending industry to prevent foreclosures by handing out $50 billion in subsidies, the nation’s housing woes continue to spread. Experts don’t expect foreclosures to peak until the middle of next year. Foreclosure filings rose more than 33 percent in June compared with the same month last year and were up nearly 5 percent from May, RealtyTrac said. “Despite all the efforts to date, we clearly haven’t got a handle on how to address the situation,” said Rick Sharga, RealtyTrac’s senior vice president for marketing. More than 336,000 households received at least one foreclosure-related notice in June, according to the foreclosure listing firm’s report. That works out to one in every 380 U.S. homes. Since the election in November one home in every 76 has received at least one foreclosure notice. NEW YORK – A record 12 percent of homeowners with a mortgage are behind on their payments or in foreclosure as the housing crisis spreads to borrowers with good credit. And the wave of foreclosures isn’t expected to crest until the end of next year, the Mortgage Bankers Association said Thursday. The foreclosure rate on prime fixed-rate loans doubled in the last year, and now represents the largest share of new foreclosures. Nearly 6 percent of fixed-rate mortgages to borrowers with good credit were in the foreclosure process. At the same time, almost half of all adjustable-rate loans made to borrowers with shaky credit were past due or in foreclosure. There were no signs of improvement. The pain, however, is spreading throughout the country as job losses take their toll. The number of newly laid off people requesting jobless benefits fell last week, the government said Thursday, but the number of people receiving unemployment benefits was the highest on record. These borrowers are harder for lenders to help with loan modifications. Housing Recovery? April foreclosures rise 32 percent! MIAMI – The number of U.S. households faced with losing their homes to foreclosure jumped 32 percent in April compared with the same month last year, with Nevada, Florida and California showing the highest rates, according to data released Wednesday. More than 342,000 households received at least one foreclosure-related notice in April, RealtyTrac Inc. said. That means one in every 374 U.S. housing units received a foreclosure filing last month, the highest monthly rate since the Irvine, Calif.-based foreclosure listing firm began its report in January 2005. April was the second straight month with more than 300,000 households receiving a foreclosure filing, as the number of borrowers with mortgage troubles failed to abate. The April number, however, was less than one percent above that posted in March, when more than 340,000 properties were affected. The March data was up 17 percent from February and 46 percent from a year earlier. While total foreclosure activity was up, the number of repossessions by banks was down on a monthly and annual basis to their lowest level since March of last year, RealtyTrac said. But that’s far from positive news. Because much of the foreclosure activity in April was in the default and auction stages — the first parts of the foreclosure process — it’s likely that repossessions will increase in coming months, RealtyTrac said. About 63,900 homes were repossessed in April, down 11 percent from about 71,700 in March, RealtyTrac said. But the mortgage industry has resumed cracking down on delinquent borrowers after foreclosures were temporarily halted by mortgage finance companies Fannie Mae and Freddie Mac, together with many other lenders. “All of these loans are now being processed pretty rapidly by the servers,” Sharga said.